Another copyright case from the comics world, but one that has implications for people working in animation. Writer Gary Friedrich created Marvel's version of Ghost Rider. He sued Marvel claiming that it was created and offered to them and was not done as work for hire. He lost the suit. "As per the courts instructions Friedrich has to account for any and all money that he has received, “...relating to the gross and net amount derived from Plaintiffs' sale of goods bearing the Ghost Rider image, likeness, or Marvel trademark.” This means that Friedrich has to account for every cent each and every time he sold a print at a convention or any other item to anyone, that has the Ghost Rider image or name on it, and he has to account to all of the defendants in the case, and there’s quite a few of those, including, but not limited to, Marvel Defendants, Movie Defendants, Hasbro, Inc. and Take-Two Interactive Software, Inc. If the defendants don’t like, or don't agree with, the numbers that Friedrich supplies then they can, and probably will, ask for a deposition whereby they can question him, under oath. It was no secret that Friedrich commissioned artists such as Herb Trimpe, Arthur Suydam and others to draw Ghost Rider images which were then sold as prints over the years. If you bought one thinking you were helping Gary, well, that cash will most likely end up in Marvels pockets. This amount will be factored into any damages that the defendants can claim from Friedrich, all of which will be bundled up neatly into a final judgement so the case can then proceed to the appeal stage." So, if you work in animation and sit at conventions selling your drawings of characters that you've worked on (or not) but don't own, you are not only violating copyright, you may have to account for each and every sale if the copyright owner ever comes after you. Cartoonist Dave Sim once said that no corporation will ever pay you enough to successfully sue them. He's certainly right in Friedrich's case. Friedrich is appealing the copyright decision, but is already broke. He owes his lawyers $100,000. "If his appeal fails Friedrich will be a financially ruined man. He stands to lose everything he owns, and ever will own. Naturally the court doesn’t care for this, but Marvel might. With the imminent release of the second Ghost Rider movie, a franchise that draws heavily from the mythos that Friedrich helped create and has never been compensated for from Marvel (outside of payments for the comic books), Marvel is set to see another financial windfall of multiple millions of dollars. It’d be nice to think that, perhaps, someone at Marvel can see the logic that a settlement would have in this case, if only in the value of good publicity alone. As it is Marvel have done to Friedrich what DC did to Siegel, Shuster, Bill Finger and many others – ground him into the dirt, taken his creation, made more money in a week than the original creator will see in a lifetime and then keep on keeping on. Perhaps it’s time that a campaign designed to embarrass Marvel be undertaken – the sheer threat of such a campaign worked for Dave Cockrum. While Cockrum didn’t get millions, nor did Gene Colan when he approached and asked Marvel, they did get sizable amounts which, in Cockrum’s case alone, allowed him to live his remaining years out in relative comfort and ease. As it stands the people who’ll be making the most money from the Ghost Rider sequel will be people who had nothing to do with the character. As it stands, according to Box Office Mojo, the first Ghost Rider movie has grossed over $115,800,000 worldwide. The sequel should do similar amounts, meaning Marvel will clear a nice sum, again, while denying the creator a cent." The above information is from 20th Century Danny Boy. Torsten Adair reflects on the situation as well. And in case you've forgotten, Marvel is owned by Disney. So if you work (or have worked) for Disney, Pixar or Marvel, pay attention. This blog seems to be tipping more and more into the business, as opposed to the art, of animation, but it's hard to avoid when various media industries are conspiring against artists and the public. The character of Superman, created by Jerry Siegel and Joe Shuster, has a long and complicated legal history. Jerry Siegel's heirs have terminated their half of DC Comics' copyright of the character and are entitled to share in any revenues made since the copyright termination. "The argument was that DC Comics had undervalued Superman and licensed the rights to exploit the character in movies and television by dealing with their parent company, Warner Brothers. DC argued that it had always done the right thing, that the deals negotiated and that the payments received, going back to the Salkind era (the 1970/1980s Superman movies with Christopher Reeve) and extending through to the current deals, including the television series Lois and Clark and the highly successful Smallville, along with the most recent movies, were more than fair and indeed over market value. The argument to resolve this was taken to a ten day bench trial, at which time DC Comics would have to prove that it had not undersold Superman, and the Siegel’s would have to prove otherwise. 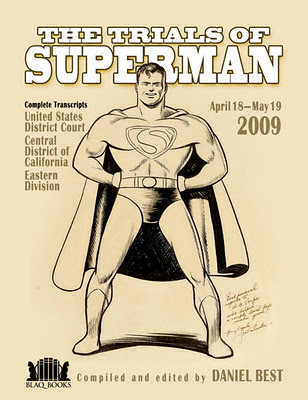 The trial gave a great insight into the machinations of comic books and motion pictures along with the true value of Superman, as a multi-media concept"
You can download the entire trial transcript for free courtesy of Daniel Best here. It's over a thousand pages and this is not everyone's idea of fun reading. However, I keep banging the drum on creators' rights on this blog, and this transcript is an example of what happens in court if there is a dispute between a creator (or his heirs) and the company he has done business with. Even if you only read a dozen pages, you'll learn more about how a real trial works than any TV show can tell you. If I knew how to block out this site on Jan. 18 in protest against SOPA and PIPA, two bills currently in the U.S. Congress that claim to be against internet piracy, I would do it. I am not in favour of piracy, though I have major issues with what media conglomerates have done to distort copyright laws world wide. The problem I have with these bills is that they are too vague and too broad. While they may become a U.S. law, it will affect internet users and site owners beyond U.S. borders. As a commenter on Boing Boing (dark for the day) said, in order to stop piracy, we're going to outlaw the sea. "A website (of a corporation, individual, what-have-you) is considered guilty as soon as they are accused. Only once the site is shut down or made inaccessible can they try to defend themselves. "Given that the whole concept of "fair use" is still, after 300 years, being refined, someone could use something fairly and still be shut down (see lack of due process above)." If you are in the U.S, I urge you to contact your Congressman and Senators and register your opposition. You can do this easily by going to AmericanCensorship.org or the Electronic Frontier Foundation. UPDATE: Clay Shirky is one of the smartest people in the room when it comes to talking about media. I've read his books and been lucky to hear him speak in Toronto. Watch the video below to get a "big picture" explanation of what SOPA and PIPA are actually about. Last summer, I helped a friend develop a course outline for an animation history course. In looking for a textbook, I found that there wasn't a single volume that seemed appropriate. 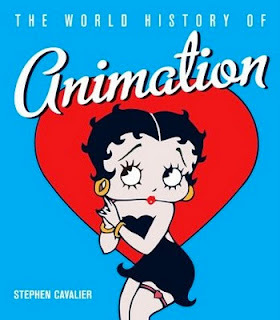 When The World History of Animation by Stephen Cavalier was later published, I wondered if this book might be the solution. Unfortunately, it isn't. The book is a wide ranging history of animation. It starts with a short historical summary for different parts of the world before launching into a year by year history where particular films are singled out. The entries are wildly uneven, both in terms of the writing and the accompanying illustrations. One would think that the amount of space devoted to a film would be proportional to the film's importance, but there doesn't seem to be any relationship. Not all the films are represented by stills and here, too, the number or size of the stills bears no relation to the importance of the film. I don't think I can articulate the author's point of view beyond the fact that he has personal favorites. While art, content and technology are all mentioned, none seems to be uppermost in the author's mind. Directors are the only contributors mentioned consistently. Designers and animators who aren't directors are mostly ignored. Finally, there are many factual errors. I would not pretend to be an expert on European or Asian animation, but I am reasonably conversant in American animation history. The author is British, which might account for his errors regarding America, but there is no way for me to know if the same number of errors exist in all parts of the book. I've listed the errors I found during my reading below, if only to document my reservations. There is no doubt that the book is an ambitious undertaking, but it seems to have defeated the author and his research team. Perhaps it isn't possible to get a single volume history of world animation that is accurate and with a defined point of view, but this book does nothing to challenge that assumption. A still identified as being from Gertie the Dinosaur (1914) on page 63 is obviously from one of the later Gertie films, as it has a grey scale and looks to have been done on cels. The 1914 film was just line and done entirely on a single level of paper. On page 74, Cavalier states that Joe Oriolo was working on Felix the Cat as early as 1922. As he was born in 1913, that would make him a precocious nine year old. In fact, Oriolo didn't meet Messmer until the two were working at Famous Studios in the early '40s. On page 97, Cavalier says that Steamboat Willie was half finished before Disney made the decision to make it a sound cartoon. This is wrong. The synchronization that is Steamboat Willie's great advance was due to planning the musical beats in advance of animation. On page 99, sloppy writing implies that Ub Iwerks' multiplane camera was in use as early as the first Flip the Frog cartoon when it was introduced in the ComicColor series. He also says that Iwerks returned to the Disney studio in 1938, when it was 1940. On page 115, Cavalier implies that the Fleischer 3D setbacks were the Fleischer version of the rotoscope. First of all, there is no relationship. The setbacks were purely for background elements, not character animation. Secondly, as the Fleischers invented the rotoscope, they had no need for their own version. On page 122, Leon Schlesinger is invited to open an animation studio on the Warner Bros. lot in 1927, when his studio didn't open until 1930. 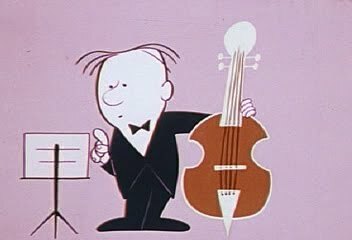 Then the Looney Tunes and Merrie Melodies are described as being produced at the Harman-Ising studio, which is also wrong. On the same page, Chuck Jones, not Tex Avery, is credited as the director of A Wild Hare. On page 123, Cavalier states that producer Edward Selzer imposed a 5 week production schedule on each cartoon. While a cartoon may have been forced to move through each department in 5 weeks, there is no way that an entire cartoon was created in 5 weeks. On page 142, Tex Avery is credited as creating Porky Pig, but Avery had nothing to do with Porky's debut cartoon I Haven't Got a Hat, which was released before Avery's first cartoon at Warner Bros.
On page 198, regarding The Jungle Book, Cavalier states, "for the first time the characters' movements and acting were based on the personalities and filmed performances of the voice actors, who were encouraged to improvise as they recorded." It was hardly the first time, as it was done at least as early as the tea party sequence in Alice in Wonderland (1951). On page 219, Cavalier states, "Crumb also claimed that Bakshi had got the agreement [to make an animated Fritz the Cat] with his ex-girlfriend more than with him, and that she had no ownership rights, which Bakshi denied." The woman in question is Dana Crumb, who was married to Crumb at the time the contract was signed. On page 225, Jerry Beck is identified as Jeff Beck. On page 246, Don Bluth's Banjo the Woodpile Cat is identified as a feature when it is 29 minutes long. On page 248, MAGI Synthevision is identified as MAG. On page 286, Cavalier claims that the cgi ballroom in Beauty and the Beast was supplied by Pixar. It was created internally at Disney. I confirmed this with Dan Philips, who was CGI Manager on the film. On page 308, there is a commentary on Super Mario 64 that sounds more like the work of a public relations flack than a historian. "Shigeru Miyamoto and Nintendo's Super Mario 64 is not only one of the greatest computer games of all time, but also one of the greatest works of art/entertainment of the twentieth century. From the moment the player takes control of Mario and finds that through some simple controls he can run, jump, swim, slide, or even fly in any direction of the beautifully-realized world, he or she is held in a similar state of wonder and exhilaration that the first audiences must have felt when watching Winsor McCay's Gertie the Dinosaur or Walt Disney's Snow White and the Seven Dwarfs." On page 331, in discussing Gendy Tartakovsky's credits, there is no mention of Dexter's Laboratory, a show that he created. On page 386, Shane Acker's feature 9 is identified as stop-motion, when it is cgi. Turner Classic Movies will run We Learn About the Telephone (1965) early Saturday morning at 5:30 a.m. Eastern time. This film contains animation designed and directed by John Hubley and features voice work by Mel Blanc. Michael Sporn has written about this film and if you don't want to get up early Saturday, you can see it at the Prelinger Archives. I'm writing this post for the benefit of Sheridan animation students and grads, but it may prove useful to others. If you are not on salary or working under a contract and somebody asks you to produce some art or animation, here are the things you need to know in writing before you start work. How much will you be paid and what is the payment schedule? Are there royalties or other compensation you are entitled to in the future? What are the specifics of the work you are providing? What format are you delivering the work in? When is the work due? Then there is the question of rights. What exactly are you selling in exchange for the money? Are you selling the work outright? Are you selling the work only for a specific use? Are you selling the work for a limited amount of time? Is the sale for exclusive or non-exclusive rights to use the work? Will the artist get screen credit or be allowed to sign the work? If the client provides this information in a written document, you have the right to ask for changes to anything that is specified. The client has the right to say no, but so do you. An agreement implies that both parties (the client and the artist) see eye to eye on conditions under which the work will be produced. You also have the right to consult a lawyer, agent or other professional on the agreement before signing it. There is a tendency for artists to be so thrilled that somebody wants their work that they skip all of the above or worse, they agree to work on spec. Spec work, (work done on speculation), means that the artist produces work for a client with no promise of payment. There are also cases where a client promises no money but offers the benefit of experience or exposure. There is a word that describes working for free: slavery. Slavery can only occur through force, which we have not yet sunk to in North America, or complicity, where the artist agrees to be a slave. There are occasions where artists may choose to work for free. Work gets donated to a charity or done to help a friend or family member. But if a profit making company is asking for artwork, they should pay for it and all of the above conditions should be met. Please note that the above is different from pitching. In that case, you are creating the artwork for yourself and hope to interest a buyer in it. If no payment is forthcoming, you are free to take that artwork elsewhere to try to market it. Doing free work for yourself is different than doing free work at the request of a profit-making company. I'm going to talk about two instances that I've been consulted on in the recent past. I have to be vague so as not to break any confidences. In the first case, a distributor was interested in a student film made by a Sheridan graduate. The distributor wanted non-exclusive theatrical rights and exclusive rights for DVD, TV, internet and merchandising. In exchange for these rights, the distributor was willing to pay $50. I told the grad that for the low fee, none of the rights should be exclusive. If the grad had the opportunity to sell the film again in any market, he should be able to do it. The student asked for changes to the contract and the rights were made non-exclusive. In the second case, a Sheridan grad was commissioned by a company to produce a film for a fee. When the film was delivered, the grad was told that the person who commissioned the film didn't have authorization to do it. The company was sorry and felt bad about it, but could only offer the grad half the agreed upon fee as a gesture of good will. The grad asked me for advice. I warned the grad that if she made a fuss, there was a chance that the company would refuse all payment. The grad wanted to proceed anyway, so I counseled the grad to tell them that she had an email from a company employee and she looked upon that as a contract. If there was a problem, it was between the company and the employee, not the company and her. If they didn't pay her in full, she would publicize the fact that the company had ripped her off and would warn other artists not to do work for the company. Furthermore, if the company didn't pay the full fee and used the work, she would sue the company for copyright infringement. The company responded that they regretted her aggressive tone. This is known as blaming the victim. However, they did agree to pay the full fee. There is no shortage of companies looking to take advantage of young artists. It is important to understand the proper way to do business, demanding a signed, written agreement that covers the payment, the rights, the deadline and the deliverables before the artwork is created. Your art and your time are what you are selling as a professional. If you work for free or don't proceed in a professional manner, you are merely a hobbyist and you are hurting people who are professionals.